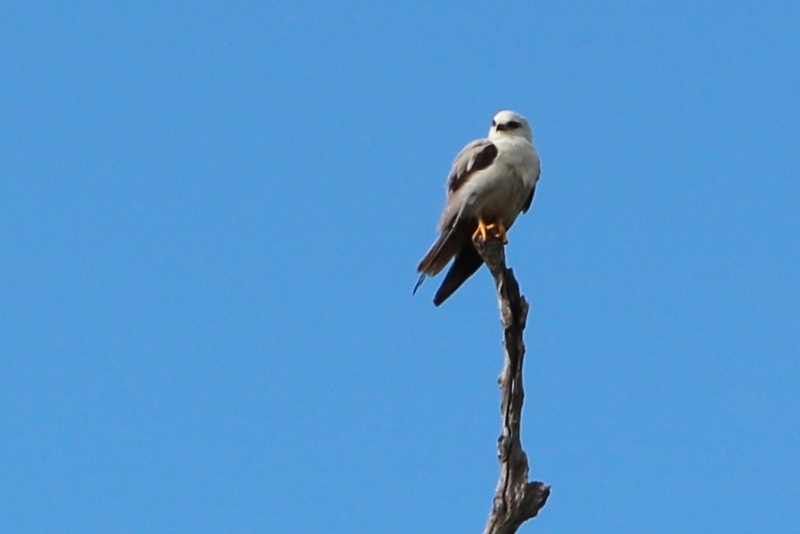 Beautiful pale grey hawk are the first four words in the Field Guide description of the Black Shouldered Kite Elanus axillaris, and they are correct. It has a pure white head, body and tail with the most gorgeous eyes that look they have been outlined with black kohl eyeliner. I was even happier to read that it is a specialist predator of rodents, which it hunts by hovering above open land. According to Wikipedia: Adults can take two or three mice a day, and on one occasion a male was observed bringing no less than 14 mice to a nest of well-advanced fledglings within an hour. 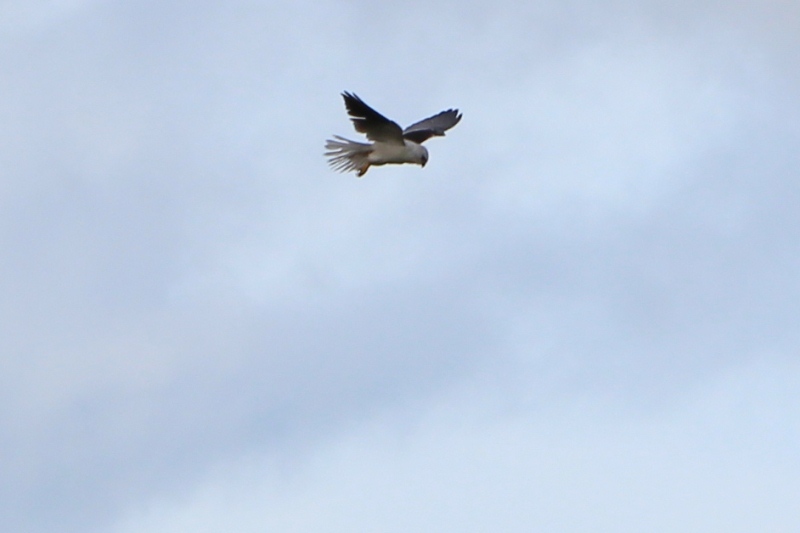 It sometimes looks like a seagull as it glides on upswept wings and when it hovers its yellow feet dangle down.